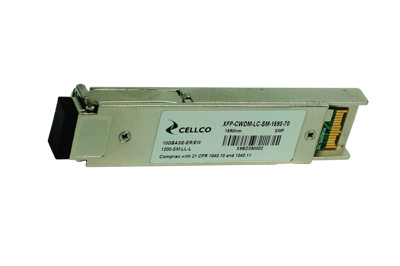 CWDM SFP 10G transceiver is designed for 10G Ethernet (10GBASE-ER/EW) and 10G Fiber Channel. This module is designed for single mode fiber and operates at CWDM wavelength. There are four center wavelengths available from 1270nm to 1330nm, with each step 20nm. A guaranteed minimum optical link budget of 14 dB is offered.